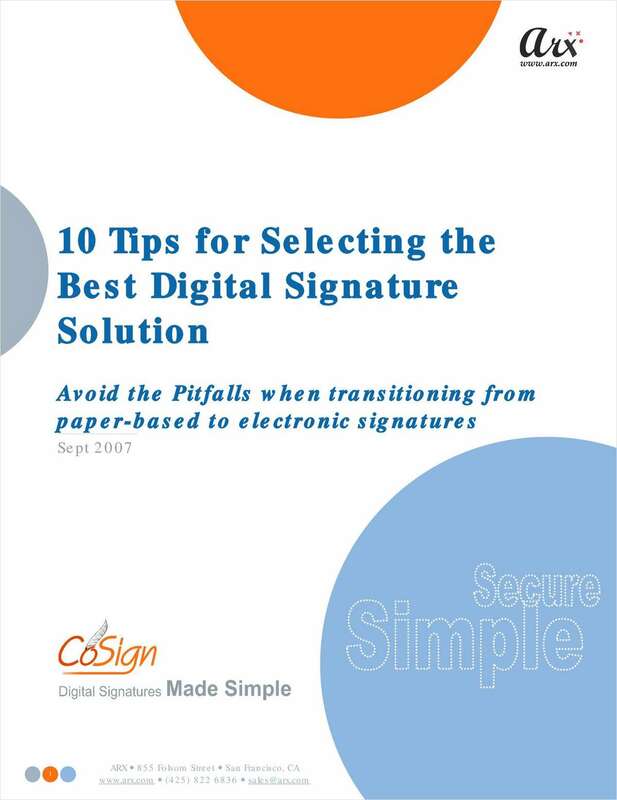 "10 Tips for Selecting the Best Digital Signature Solution"
Free White Paper: "10 Tips for Selecting the Best Digital Signature Solution"
Digital Signatures - 10 things to know before choosing a digital signature solution. This document is vital for an organization evaluating digital signature solutions. By submitting this content request, I have legitimate interest in the content and agree that ARX, their partners, and the creators of any other content I have selected may contact me regarding news, products, and services that may be of interest to me.